This beautiful space was built in Downingtown PA, with TimberTech Legacy Tigerwood Decking and Legacy Mocha as the border. 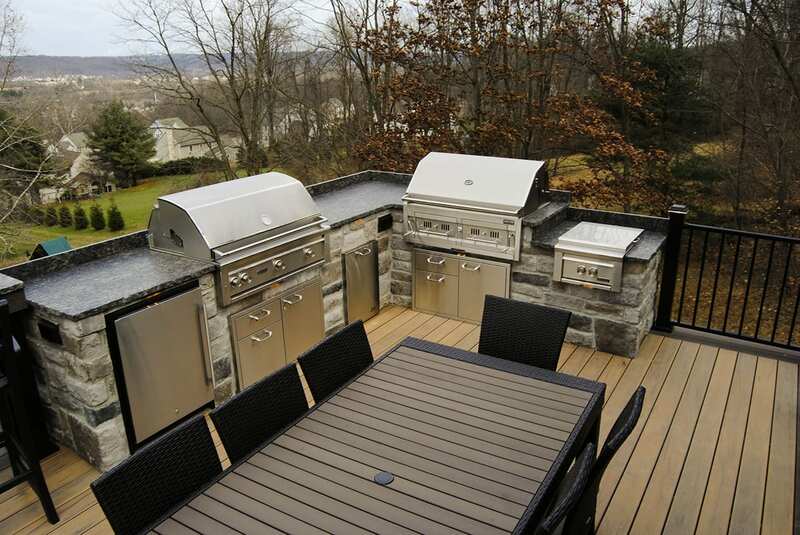 This space features a top of the line outdoor kitchen ready to feed any size crowd. It also features a fire pit in a curved section of the deck and a full lighting package that illuminates the space nicely in the evening hours. The Keystone team finished this space in the fall of 2014.